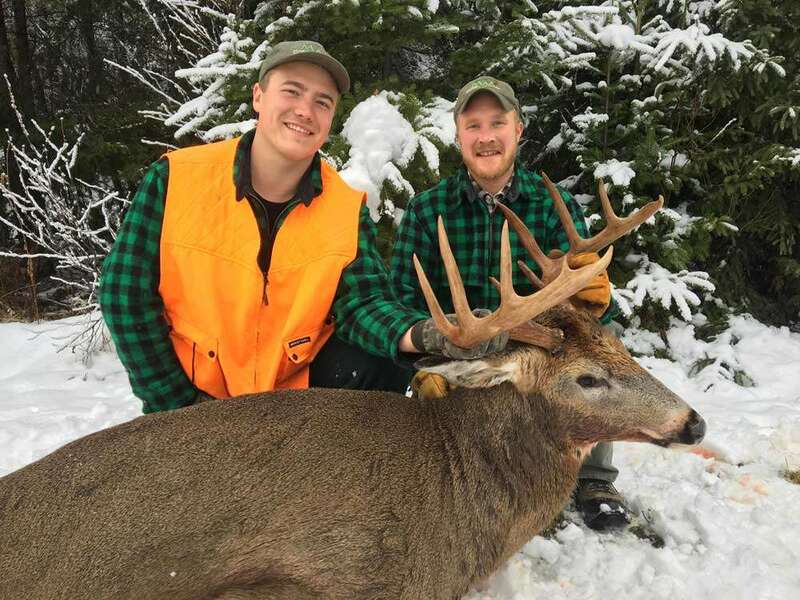 If you’ve always dreamed of hunting huge trophy whitetails in the remote woods of Northern Maine, you’ve come to the right place. 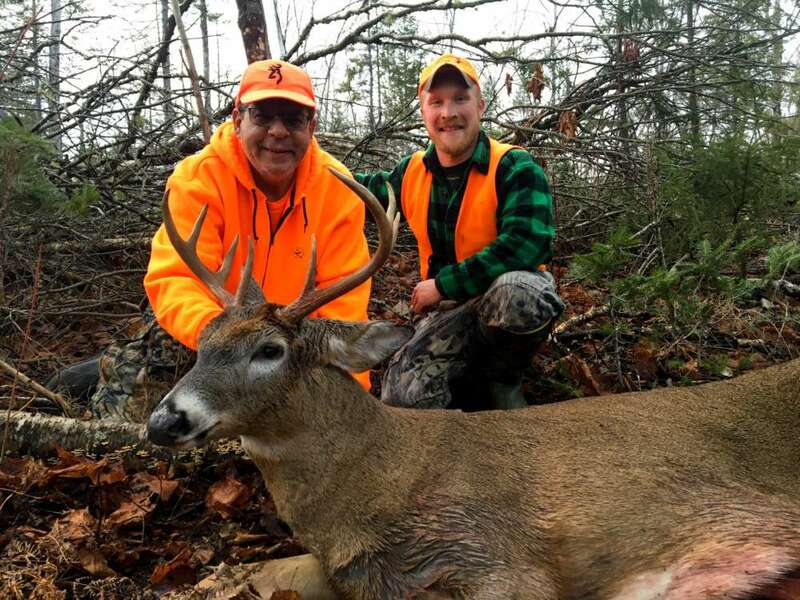 We specialize in trophy Maine deer hunts in some of the most remote areas in the Eastern United States. Our weeklong whitetail hunts are rewarding but very demanding and require a strong commitment from both the client and the guide. 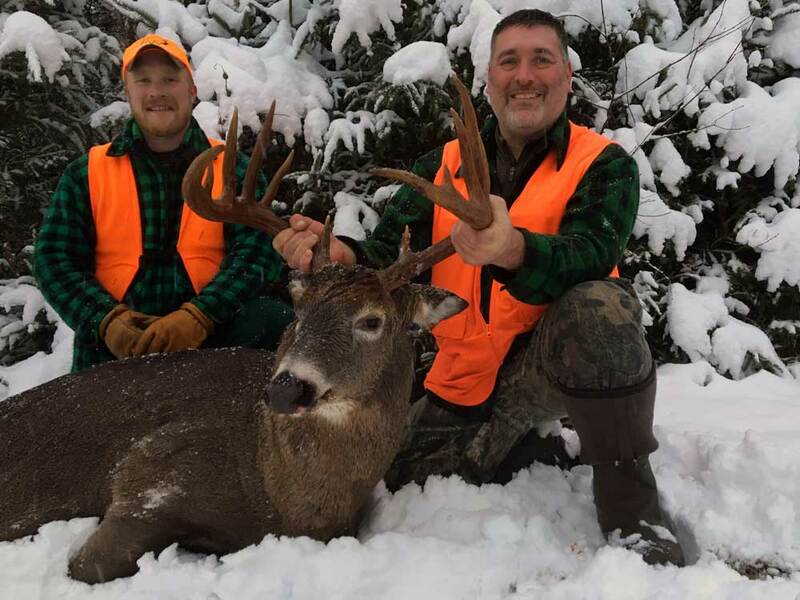 These northern Maine monster bucks don’t come easy. Patience and persistence is a must and often times we are enduring cold, rain, snow and wind. We also can’t stress enough that this is not a “meat” hunt. We are hunting 200+ lb. trophy Maine deer. Those deer that you would proudly hang on any wall. All of our hunts are 6 days in duration. We have several guided hunts available. Our Treestand Hunts with a maximum of 6 clients and our 1-on-1 hunts for those desiring a more personalized experience. Clients arrive Sunday, hunt Monday through the following Saturday and depart Sunday. Guide is responsible for care of your trophy and removing animal from the woods. Hunts do not include Hunting License, North Maine Woods Gate Fee, State Lodging Tax, Taxidermy, or Butchering. Lodging for our clients is provided by Boulet Sporting Camps. For more information visit our Deer & Moose Hunting Lodging page. Wake up early, get gear ready. Eat breakfast in Guide Camp. Pack a lunch. Get dressed after breakfast to minimize scent on hunting clothes. Ideal time for client to arrive at stand is at or just before first daylight. A headlamp for entering woods and climbing into stand is strongly recommended. Client stays in stand throughout the day. For safety reasons we do not allow clients to explore the stand area. Client leaves stand at the end of legal shooting hours. Client meets guide at pre-determined location & time. Dinner in Guide Camp / discuss morning plans.